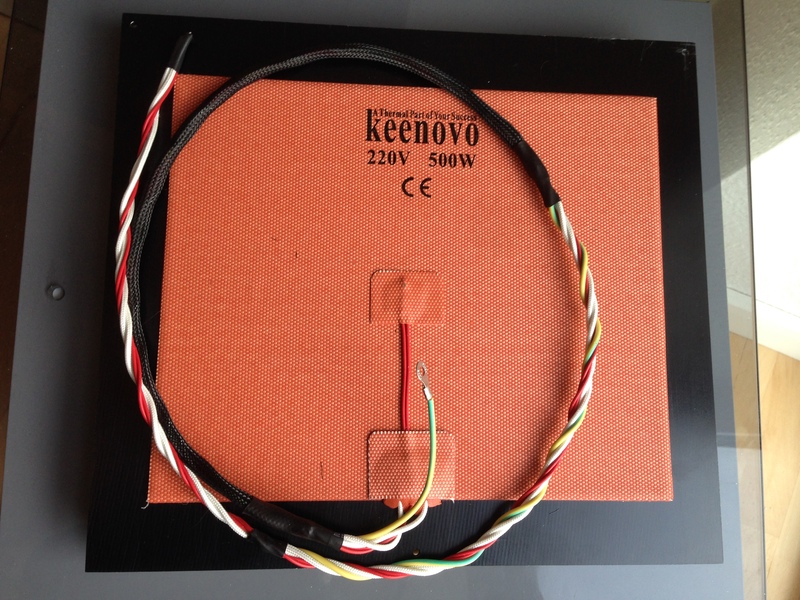 Here’s my 500w silicone heater from Keenovo (opes eBay shop) powered using AC power. It comes with an attached pad of 3M MP386 heat resistant and transferring extremely sticky tape. You can have them made with other types of sensors, like a thermocoupler if you like. I decided to include the Power-Expander (opens link to reprap.me) as it is a great alternative to a DC-DC SSR, and because you are sure not to get a counterfit SSR. I have personally only used SSR from RobotDigg (opens their shop), but the brand Fotek is also a good quality. Problem is lots of counterfits (open UL site) & here (instructables) around, so be carefull where you buy your stuff. We allready touched on the subject above, so lets take a look at the different options we have. The denomination before the – is the input or control type. We are only talking about DC- here. The listing after the – is the LOAD type. So if it is listed as DC-AC, it means we control it using DC from the output on controller and the LOAD we are using is AC if we have a silicone heater as listed at the top of this page. 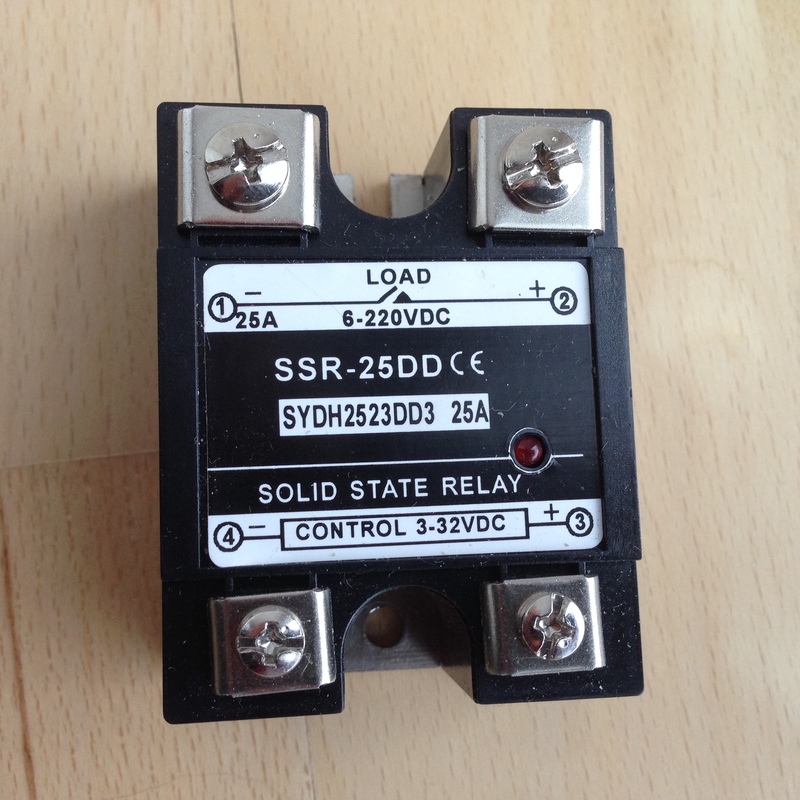 DC-DC SSR or Power-Expander are interchangeable in most cases, so I’ll list them as such. Load type os listed at the upper end, and is 6-220 volt and also DC, so we really have some power here. Option 2: if you just want to use 2 seperate powersupplies for the electronics and heated bed: you might be running electronics at 12v but want 24v on heated bed. You want a DC-AC SSR if you have a heated bed powered using AC. Most common if you have bought an AC silicone heater. The SSRs I’ve bought comes equipped with a clear shield/cover. It is important to use this to avoid accidents, as the terminals are open and easy to get to. Read on the specifications and compare to your needs wheter you need a heatsink or cooling. I have not needed this on my build as a 500w AC heater only use 2-2.5amperage at most. The next big question is how to wire it. If you use an AC heater, you might want to add a grounding wire. You might also want to do it if you use DC, but in any case, I have added one here, as you can see. I must admit I can’t see a scenario where it would be needed, but better safe than sorry, and it’s easy to just add an extra wire. Here’s the wiring braided and sleeved up with the Silicone heater taped to the plate. It takes 24 hours for the glue to fully harden, so put it under pressure a day or so, before putting it upside down – don’t put pressure on the center part where the thermistor lives. If an AC wire comes loose I guess it would it the plate.. in any case.. I leave it to you, how you want to attach it. In the next part of this, we will go through the complete wiring of controller, psu, ssr and heated bed.